You've decided property ownership is for you and after a dedicated effort to save for a deposit, you're finally ready to take the plunge — with some help from KiwiSaver. Well done! Taking the first steps to getting on the property ladder is an exciting time and financial saving schemes such as KiwiSaver are there to make it make is easier for first home buyers like you. Before you start heading to open homes to find that perfect property, you probably have some questions around how the scheme works. It's important to understand the rules and regulations when using KiwiSaver, particularly as these have changed this year. We want to make sure you're up-to-date. 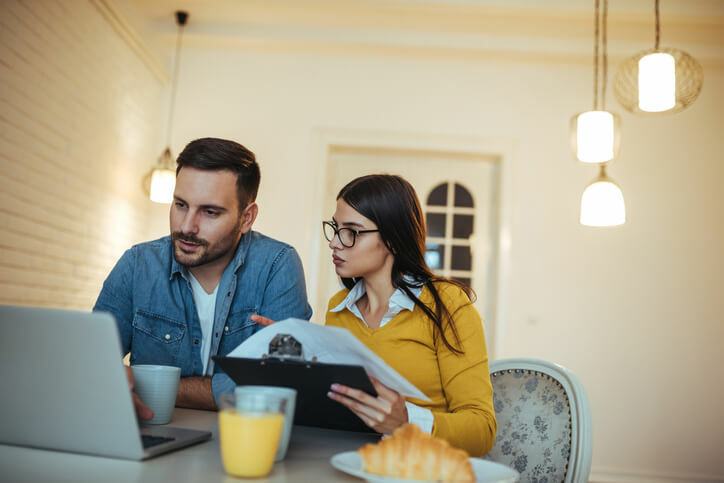 In this blog, we discuss what you should know if you're thinking about using your KiwiSaver funds to get into the property market. Ready to take your next step towards property ownership? Download our free guide to buying a home. New rule: You must intend to live in the home for six months. This rule is aimed at ensuring the house you're buying is to live in, rather than as an investment property or holiday home. As part of the application process, you'll need to make a statutory declaration confirming you comply with the rules for a first home withdrawal, including that you intend to live in the house you buy. The document will need to be witnessed by a JP, a solicitor, Member of Parliament, court registrar or anyone authorised under New Zealand law to administer an oath or declaration. New rule: You can withdraw all of your KiwiSaver funds except the kickstart. You can now withdraw everything in your KiwiSaver account except for the $1000 kickstart to help with the purchase of your first home. You can't have received the KiwiSaver first-home withdrawal before. You can only receive the first home grant once, so anyone wanting to buy a home using KiwiSaver money must be doing so for the first time. You can't have owned a property before. In general, you can't have owned or currently own a property to be eligible for the grant. However, there are some exceptions. If you have previously owned a property, it's possible in certain circumstances, to qualify for a KiwiSaver first home withdrawal. You will need to apply to Housing New Zealand to assess your eligibility for a second chance withdrawal and they will determine whether you fit the criteria. You need to have been a KiwiSaver member for at least three years. You can then apply to withdraw all (except $1000) or part of your savings to put towards buying your first home. There are no restrictions around how much you earn or the price of the house. Neither of these will impact your eligibility to get the KiwiSaver first-home withdrawal. KiwiSaver is a valuable scheme that has helped thousands of people successfully buy their first home. Use the above checklist to understand how it can work for you and what you need to do to ensure your application is successful. Remember, if you do need your KiwiSaver funds for a deposit, apply as soon as possible to make sure you're ready to buy when you find that perfect home.